I love tromboncini (or the singular, “tromboncino,” or botanical, “Rampicante”) squash. It fills an odd niche, later than most summer squash, yet earlier than most winter squash. It’s storage life is halfway between, too. It’s flavor is somewhere between a zucchini and a butternut. So, I call it an autumn squash. Tromboncini squash have a long, seedless neck, and dangle from their trellis like a trombone hanging on the wall. Supposedly they can get to the size of a trombone as well, and thus they receive their name. So, 76 tromboncini lead the big parade, and, on a pound of food per square foot measure, they’re one of the most efficient foods we can grow. So, my weekly gratitude photo is a bit different this week. This time, I’ve never been so grateful that I decided NOT to do a project myself. We’re having some serious infrastructure work done on the farm. We’re running electrical to the barn (no more extension cord from the house to the air compressor or block heater on the tractor! Lights in the winter! ), the summer kitchen to be, and the greenhouse/X’s shop. 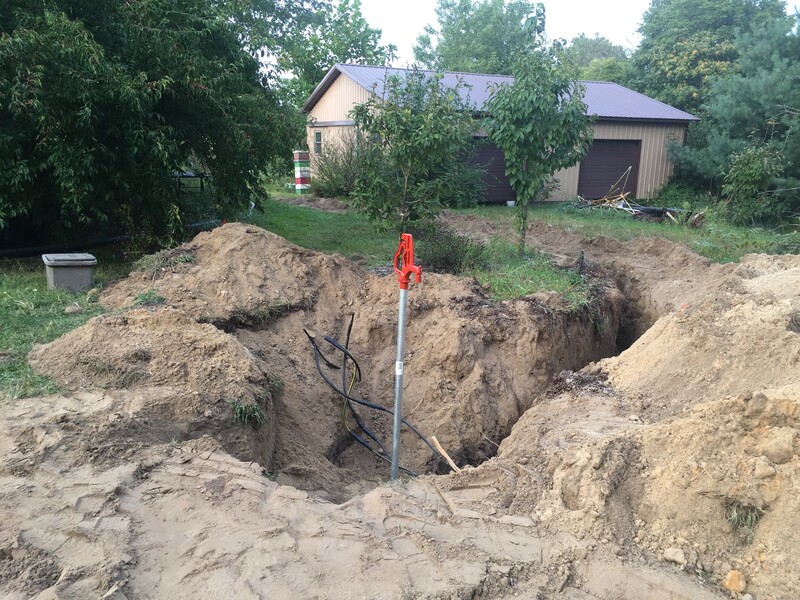 We’re also putting in a two inch irrigation mainline from the well out about 480 feet, which should allow much lower maintenance and higher efficiency irrigation of the veggie field. This all makes them sound incompetent, but that’s really not the case. Things at our place were just not done in a normal manner. I almost certainly would have run into each and every one of the same problems they did. But wouldn’t have insurance to cover it, nor the experience fixing it all, nor the time to deal with the setbacks. Suffice it to say, we still have no internet, the well is only producing a fraction of the flow rate it should, the lane is all torn up, and they’re probably only about half way done. Hiring it out, even though somewhat more expensive than what I expected it would cost to have done it myself, may just be the most cost effective of choices we could have made! Meanwhile, we did an OK, job following the menu last week. 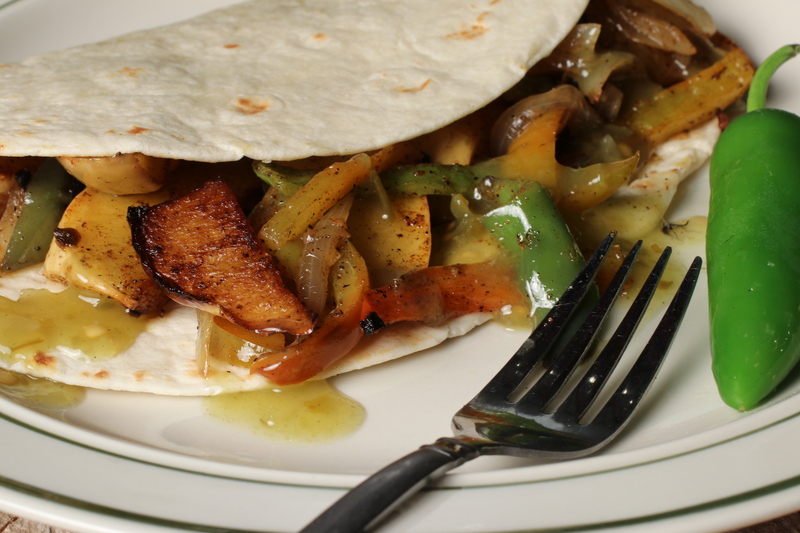 The Tromboncini Fajitas turned out to be an amazing inspiration – really, the best fajitas I’ve had. So, we’re going to repeat significant chunks of the same menu this week. It’s seasonal, an yummy, and, well, there’s a lot of stuff and only a little inspiration. New from the farm: The current produce list is over 25 items long! I really love tromboncini squash. And, we’ve had quite a surplus from the garden this year.